UPDATE FEB 21, 2:15PM—City Chief Data Officer Tom Schenk Jr. stated via Twitter Friday that "we [identified] the issue and fixed it." The Emanuel robbery is now online with another 114 crimes that were "omitted in the past 8 years" due to the glitch, Schenk said. We have asked Schenk for more information about what caused the omission. Needless to say, we're intrigued that the mayor's son would be affected by a SNAFU that affected just 115 of the 2,864,209 crimes reported in Chicago over the past 8 years. CWB's original report from 9:33PM on February 17 follows. Fresh questions are being raised today about the accuracy and transparency of crime statistics provided under Chicago Mayor Rahm Emanuel. CWB has found that the beating and robbery of Emanuel's teenage son on December 19 does not appear anywhere in the Chicago Data Portal—a city-run public web site that is supposed to be so accurate, the Chicago Police Department used its existence as an excuse to stop issuing annual reports to citizens after nearly 50 years. After two armed robberies were reported in Emanuel's neighborhood this week, a CWB editor visited the city database to compare year-over-year robbery rates for that area. Emanuel's case, HX548723, is missing from the city's crime list. non-criminal matters like traffic accidents. 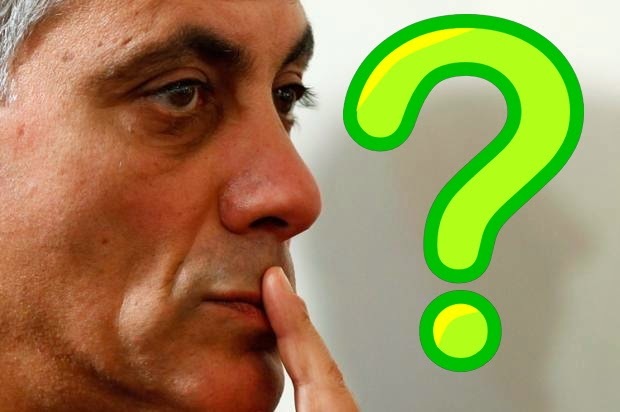 He didn't get very far: "The robbery of the mayor's son was probably the highest-profile robbery in Chicago last year," he said, "Its absence screamed at me." CWB contacted the Chicago Police Department about the missing data on Tuesday morning. No one has responded to our inquiry. No matter how we searched the Data Portal for the Emanuel incident, it never showed up. We searched by the police case number. By street. By police beat. By crime category. Everything. It's not there. Less than a year ago, CWB reported that more than 20% of Lake View crimes were missing from the city's Data Portal over the course of a month. Chicago magazine investigative reporters David Bernstein and Noah Isackson asked a police spokesman about the omissions in their award-winning two-part report about the manipulation of city crime stats. The spokesman called it a "glitch." But, the Chicago Tribune and other major mainstream outlets rely on the Data Portal's information to power their own crime stat websites. When the Data Portal is wrong, bad crime stats are pushed out to the public with the seeming endorsement of, say, a 168-year-old metropolitan newspaper. Per the Chicago Tribune, since 2011 when I started office, crime has dropped over 25 percent in the 46th Ward, except in Uptown where violent crime has dropped 39 percent. Yeah. Actually that should be "per the city-run Data Portal." The Tribune merely turns city-provided data into colorful graphics. Before CWB learned that a large chunk of Lake View crimes weren't appearing in the Data Portal last year, we relied on the site while researching a story about crime rate changes in all of Chicago's 50 wards. Four days later, 44th Ward Alderman Tom Tunney released a police-generated report that compared reported crimes in his ward during 2003 and 2013. With more than 10,000 crimes involved, our story's crime count varied from Tunney's by .1734% — reinforcing the point that the stats provided by the Data Portal are the same stats provided by city authorities. So, the question has to be asked. If the armed robbery of the mayor's own son is missing from a cornerstone of the city's crime transparency campaign, what's happening with the hundreds of thousands of other crimes that average people report? And why on Earth should anyone believe it when politicians and police executives point to these statistics to claim that "crime is down?"